White Wolf Ministry, dba White Wolf Center, in alliance with Shiome Therapy, is founded on the principles of balancing and amplifying our Energetic Life Force through natural, non synthetic, non-invasive means. We adhere to the practice of eliminating synthetic, petro-chemical and non-natural modalities from our inner and outer environment. We respect and honor the body’s natural healing abilities and wish to assist each individual’s unique life-force through holistic, organic and natural methods. “The Body” includes our physical, emotional, mental, and spiritual or energy field. We encourage the use of techniques that include, but are not limited to Aromatherapy, Crystal Therapy, Energy Psychology, Raindrop Technique, and modalities that include prayer, meditation and positive affirmations to assist the Body’s natural healing process. 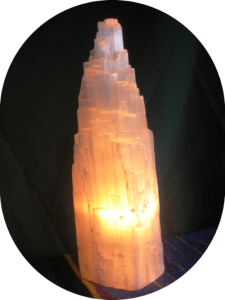 Welcome to White Wolf Ministry and Bill’s Crystals! I’m Reverend Bill, a certified Raindrop Technique Minister Practitioner, Reiki Master and Crystal enthusiast. My first pup in 1970 was a Wolf-Sheppard named Venus. Venus embodied unconditional love and loyalty. She reminds me of life’s greatest treasures—the thought of them brings joy! Most of life’s greatest treasures come from Nature. 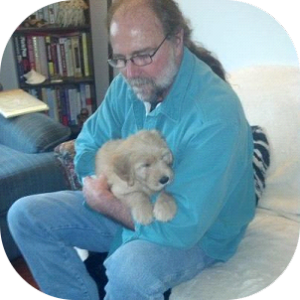 Like each of the seven puppies I’ve had since Venus, Nature’s crystals, precious stones and therapeutic-grade essential oils have special characteristics that support our body/mind/spirit’s capacity to feel better and assist its healing process. We know they can help you feel peaceful, so you can enjoy health and happiness. White Wolf Ministry wishes to share some of these natural treasures with you.